Mr. Steven James Hash, 59, of Springfield, KY, formerly of Campbellsville, KY, gained his wings on Tuesday, February 25, 2014. 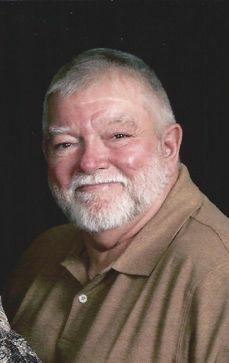 The funeral service for Mr. Steven James Hash will be conducted on Friday, February 28, 2014, at 10amCT/11amET, at the L.R. Petty Funeral Home and Cremation Service, 1765 New Columbia Road, Campbellsville, KY, with entombment to follow in the Campbellsville Memorial Gardens Mausoleum, 700 Old U.S. Hwy 68, Campbellsville, KY. Visitation will be held at the funeral home on Thursday, February 27, 2014, 4pm-7pmCT/5pm-8pmET, and on Friday after 6amCT/7amET, until time for the service. Pallbearers for Mr. Hash are Mike Hash, Josh Sowders, Kevin Cox, Isiah Perkins, Jason Inman, Anthony Hash, Mike Phelps, and Greg Hash. Honorary pallbearers are Jared Hash, Justin Hash, and Weston Jones. Mr. Hash was the son of Patricia (Wethington) Hash and the late James Thomas Hash. He was born Friday, October 1, 1954. He died Tuesday, February 25, 2014, at the age of 59 years, 4 months, and 24 days. He was a former employee of Classic Kitchens in Campbellsville, KY.
L. R. Petty Funeral Home, 1765 New Columbia Road, Campbellsville, KY, in charge of arrangements. 2014-02-26 - 1765 New Columbia Road, Campbellsville, KY - Photo from L.R. Petty Funeral Home.